The Apple rumor Mill is always churning something out. But as seen earlier, as the time approaches for a new announcement from Apple, only substantial rumors stick and are confirmed, rest fade out. With apple holding a major press conference on September 10th next month, the rumor mill is working nonstop. In this post we will cover some rumors expected to hold water, giving you a fair Idea of what this new device from Apple is expected to offer. 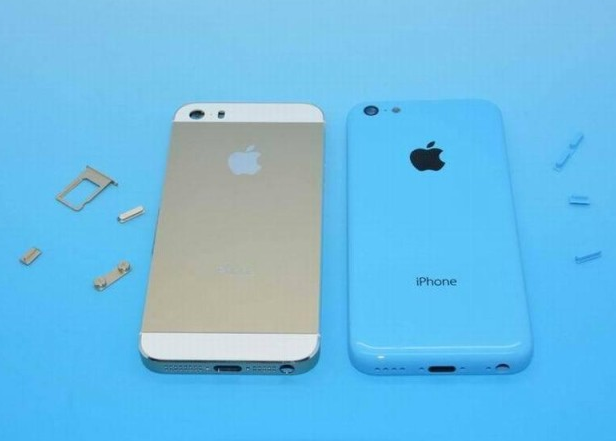 Apple will soon announce its iPhone 5C, hopefully on 10th September, along with its Budget iPhone 5c. Nothing Official regarding its specifications has been said yet, but there are many substantial rumors. The iPhone 5S is expected to come with an A7 chipset. This chipset will perform 33 % faster than A6 chipset seen in iPhone 5. It is also rumored that Apple has been testing 64 bit A7 chipset, if this 64 bit chipset makes it to iPhone 5S, then you can expect to see a significant improvement in terms of graphics and performance. It is also rumored that Apple will release Golden Color (or Champaign) variant this year , Mainly to entice its Chinese users. These rumors have been around since earlier this year when golden SIM tray pictures were leaked. This Gold color variant is almost certain now but it is expected that Apple won’t release it in most markets. After the Black and white variants, some analysts believe, that no other color makes more sense on a powerful performance device like iPhones. Do you agree? 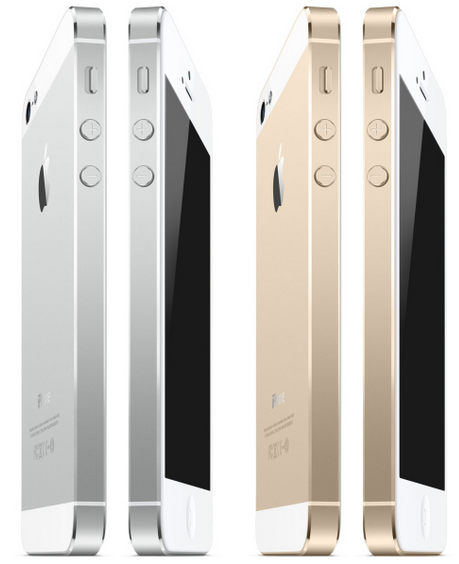 Or do you think that golden iPhone is tacky? Let us know in the comment section below! A New Gun Metal gray color has also surfaced along with the Gold variant. There were rumors about the new Home screen button in this device. But the latest leaks suggest that the new Home screen button won’t look much different, though it is expected to come with a Finger print scanner! Body design will remain almost the same, except for a dual LED flash at the back. Another almost confirmed rumor about this device states that Apple will be releasing a 128 GB version of this device. iPhone 4S and iPhone 5 both come with 64 GB storage. Maybe this time Apple will take the next step and provide us with a massive 128 GB variant! If true this would mean an even more expensive iPhone. The 32 GB and 64 GB versions will also be available at lesser price. Other rumors that are less likely to be true include a better display resolution for iphone 5S, as the screen size remains same we will have to wait and watch for this one. We expect the vibrant display to remain the same for now. Most of Android rivals like HTC One and Nokia Lumia series are selling their phones based on a high quality camera. Apple is expected to step up n this arena too. Apple might release a Camera with 12 MP sensors and to provide more light per pixel (because the sensor will be squeezed in a sleek frame, reducing light per pixel), dual LED flash is also rumored. iPhone 5S will also sport a fingerprint Scanner and NFC. The finger print scanner might be used to approve payments and make the whole procedure more secure. Apple also recently bought Authentec which built a new Fingerprint/NFC security system. Apple might even add a digital wallet. Another new tech feature rumor coming from a substantial source states that the new iPhone might come with a motion tracking chip, similar to Galaxy S4. Apple iOS 7 will be arriving soon, this time apple has made some major changes it its UI which provides a refreshing change to iPhone users with its much awaited new control center. The iOS 7 style Control center is already available for android devices on playstore. 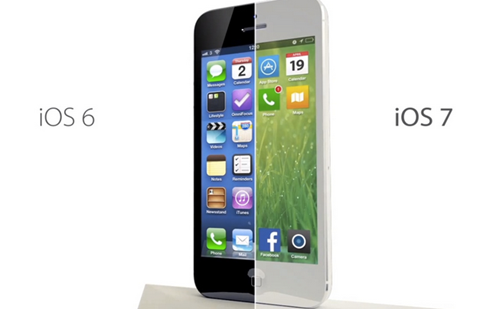 iOS 7 IS expected to be made official on September 10th itself along with iPhone 5S and iPhone 5C. Apple is expected to announce iPhone 5S on September 10th next month and we can expect the product to be available by October in most markets. China might have to wait a little longer and will get this product around 28th November. As for India nothing can be confirmed yet. It is expected to cost around $ 700. Of course the 128 GB version will cost you extra. These constitute the most substantial rumors which make sense and will most likely be true. One of the most impressive feature of iPhone 5 was that they managed to squeeze in enough battery capacity to support 10 Hrs talk time similar to iPhone 4, even after a bigger display and more power hungry processor. What innovative technology apple brings will be revealed soon enough. Android share has been growing rapidly. Though apple store is still leading in terms of revenue, apple will have to take make some radical changes to maintain its share in a fierce market. May be this is what made the budget iPhone, iPhone 5C rumored for umpteen times, a reality this time.